Lin grew up in the countryside. 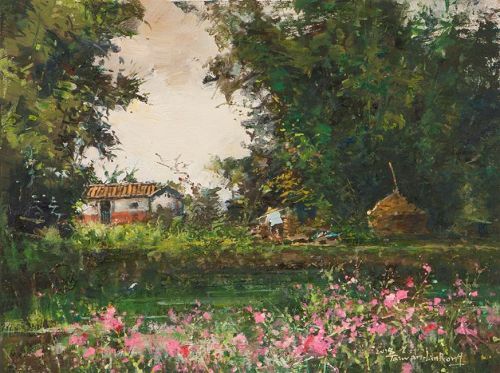 Out of his love for the island, he visited townships, fishing villages, old residences and green mountains in Taiwan and recorded its humanities & culture and dreams - the local humanistic culture and true feelings unique to Taiwan people with his painting brushes. 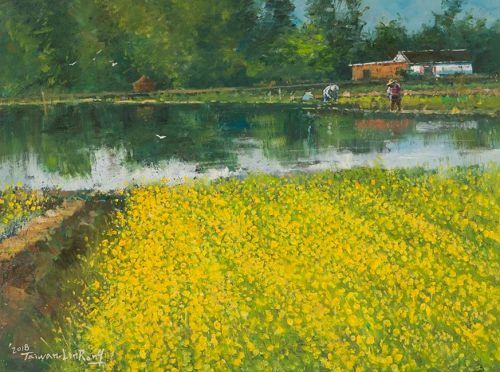 Focus：The artist incorporates his experience in Chinese ink paintings with the western colors used to depict nature and leaves traces of his ideas and passion during the process of painting through expressive and strong brush strokes.